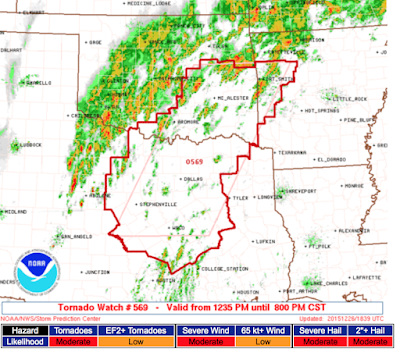 The watch is in effect until 8pm for parts of Oklahoma, Arkansas and Texas. It includes Waco and the DFW Metroplex. Just escaped it as I'm traveling North... Now for the snow and ice challenge in KS.